Liczba stron: 639 Jest to ujednolicona liczba stron, która ułatwi Ci porównanie długości książek. Każda strona Legimi to 200 słów. AN ITALIAN FANTASYBy Stefano da Zevio (Verona). The germ of this book may be found in three essays under the same title published in “Harper’s Magazine” in 1903 and 1904, which had the inestimable advantage of being illustrated by the late Louis Loeb, “the joyous comrade” to whose dear memory this imperfect half of what was planned as a joint labour of love must now be dedicated. I too have crossed the Alps, and Hannibal himself had no such baggage of dreams and memories, such fife-and-drum of lyrics, such horns of ivory, such emblazoned standards and streamered gonfalons, flying and fluttering, such phalanxes of heroes, such visions of cities to spoil and riches to rifle—palace and temple, bust and picture, tapestry and mosaic. My elephants too matched his; my herds of mediæval histories, grotesque as his gargoyled beasts. Nor without fire and vinegar have I pierced my passage to these green pastures. “Ave Italia, regina terrarum!” I cried, as I kissed the hem of thy blue robe, starred with white cities. There are who approach Italy by other portals, but these be the true gates of heaven, these purple peaks snow-flashing as they touch the stainless sky; scarred and riven with ancient fires, and young with jets of living water. Nature’s greatness prepares the heart for man’s glory. I too have crossed the Rubicon, and Cæsar gathered no such booty. Gold and marble and sardonyx, lapis-lazuli, agate and alabaster, porphyry, jasper and bronze, these were the least of my spoils. I plucked at the mystery of the storied land and fulfilled my eyes of its loveliness and colour. I have seen the radiant raggedness of Naples as I squeezed in the squirming, wriggling ant-heap; at Paestum I have companied the lizard in the forsaken Temple of Poseidon. (O the soaring Pagan pillars, divinely Doric!) I have stood by the Leaning Tower in Bologna that gave a simile to Dante; and by the long low wall of Padua’s university, whence Portia borrowed her learned plumes, I have stayed to scan a placarded sonnet to a Doctor of Philology; I have walked along that delectable Riviera di Levante and left a footprint on those wind-swept sands where Shelley’s mortal elements found their fit resolution in flame. I have lain under Boccaccio’s olives, and caressed with my eye the curve of the distant Duomo and the winding silver of the Arno. Florence has shown me supreme earth-beauty, Venice supreme water-beauty, and I have worshipped Capri and Amalfi, offspring of the love-marriage of earth and water. O sacredness of sky and sun! Receive me, ye priests of Apollo. I am for lustrations and white robes, that I may kneel in the dawn to the Sun-God. Let me wind in the procession through the olive groves. For what choking Christian cities have we exchanged the lucid Pagan hill-towns? Behold the idolatrous smoke rising to Mammon from the factory altars of Christendom. We have sacrificed our glad sense of the world-miracle to worldly miracles of loaves and fishes. Grasping after the unseen, we have lost the divinity of the seen. Ah me! Shall we ever recapture that first lyric rapture? O consecration of the purifying dawn, O flame on the eastern altar, what cathedral rose-window can replace thee? O trill of the lark, soaring sunward, O swaying of May boughs and opening of flower chalices, what tinkling of bells and swinging of censers can bring us nearer the divine mystery? What are our liturgies but borrowed emotions, grown cold in the passing and staled by use—an anthology for apes! But I wrong the ape. Did not an Afric explorer—with more insight than most, albeit a woman—tell me how even an ape in the great virgin forests will express by solemn capers some sense of the glory and freshness of the morning, his glimmering reason struggling towards spiritual consciousness, and moving him to dance his wonder and adoration? Even so the Greek danced his way to religion and the drama. Alas for the ape’s degenerate cousin, the townsman shot to business through a tube! I grant him that the shortest distance between two points is a straight line, yet ’tis with the curve that beauty commences. Your crow is the scientific flier, and a dismal bird it is. Who would demand an austere, unbending route ’twixt Sorrento and Amalfi instead of the white road that winds and winds round that great amphitheatre of hills, doubling on itself as in a mountain duet, and circumvoluting again and yet again, till the intertangled melody of peaks becomes a great choral burst, and all the hills sing as in the Psalmist, crag answering crag! Do you grow impatient when chines yawn at your feet and to skirt them the road turns inland half a mile, bringing you back on the other side of the chasm, as to your mere starting-point? Do you crave for an iron-trestled American bridge to span the gap? Nay; science is the shortest distance between two points, but beauty, like art, is long. What is this haste to arrive? Give me to walk and walk those high paths hung ’twixt mountain and sea: the green wild grass, with its dots of daisy and dandelion; cactus and asphodel overhanging from the mountain-side, figs, olives, vines, sloping in terraced patches to the sea, which through bronze leafy tunnels shows blue and sparkling at the base of contorted cliffs. A woman’s singing comes up from the green and grey tangle of gnarled trunks, and mingles with the sweet piping of the birds. A brown man moves amid the furrows. A sybil issues from a pass, leaning on her staff, driving a pair of goats, her head swathed in a great white handkerchief. I see that the Italian painters have copied their native landscape as well as their fellow men and women, though they pictured Palestine or Hellas or the land of faery. Not from inner fancy did Dosso Dossi create that glamorous background for his Circe. That sunny enchantment, that redolence of mediæval romaunt, exhales from many a haunting spot in these castled crags. Not from mere technical ingenuity did the artists of the Annunciation and other sacred indoor subjects introduce in their composition the spaces of the outer world shining through doors or windows or marble porticoes, vistas of earthly loveliness fusing with the holy beauty. Geology is here the handmaiden of Art and Theology. The painters found these effects to hand, springing from the structure of cities set upon ridges, as in a humble smithy of Siena whose entrance is in a street, but whose back, giving upon a sheer precipice, admits the wide purpureal landscape; or in that church in Perugia, dominating the Umbrian valley, where the gloom of the Old Masters in the dim chapel is suddenly broken by the sunlit spaciousness of an older Master, framed in a little window. Do you wonder that the Perugian Pintoricchio would not let his St. Jerome preach to a mere crowded interior, or that the Umbrian school is from the first alive to the spirit of space? Such pictures Italy makes for us not only from interiors, but from wayside peep-holes, from clefts in the rock or gaps in the greenery. The country, dark with cypresses or gleaming with domes and campaniles, everywhere composes itself into a beautiful harmony; one needs not eye-points of vantage. The peep-hole simply fixes one’s point of view, frames the scene in one’s horizon of vision, and suggests by its enhancement of Nature the true task of Art in unifying a sprawling chaos of phenomena. And if to disengage the charm of space, Raphael and Perugino and Francia and even Mariotto Albertinelli make such noble use of the arch, was it not that its lovely limitation and definition of the landscape had from early Roman antiquity been revealed by Architecture? Arches and perspectives of arches, cloisters and colonnades, were weaving a rhythm of space round the artists in their daily walks. Where Nature was beautiful and Art was second Nature, the poets in paint were made as well as born. Paradox-mongers have exalted Art above Nature, yet what pen or brush could reproduce Amalfi—that vibrant atmosphere, that shimmer and flicker of clouds, sunshine, and water; the ruined tower on the spit, the low white town, the crescent hills beyond, the blue sky bending over all as over a great glimmering cup? Beethoven, who wrote always with visual images in his mind, might have rendered it in another art, transposing it into the key of music; for is not beauty as mutable as energy, and what were the music of the spheres but the translation of their shining infinitude? Truer indeed such translation into singing sound than into the cacophonies of speech, particularly of scientific speech. I saw a great angel’s wing floating over Rimini, its swan-like feathers spread with airy grace across the blue—but I must call it cirrus clouds, forsooth—ruffling themselves on a firmament of illusion. We name a thing and lo! Its wonder flies, as in those profound myths where all goes well till scientific curiosity comes to mar happiness. Psyche turns the light on Cupid, Elsa must know Lohengrin’s name. With what subtle instinct the Hebrew refused to pronounce the name of his deity! A name persuades that the unseizable is seized, that leviathan is drawn out with a hook. “Who is this that darkeneth counsel by words without knowledge?” Primitive man projected his soul into trees and stones—animism the wise it call—but we would project into man the soullessness of stones and trees. Finding no soul in Nature, we would rob even man of his, desperately disintegrating it back to mechanic atoms. The savage lifted Nature up to himself; we would degrade ourselves to Nature. For scientific examination read unscientific ex-animation. And now ’tis the rare poet and artist for whom river and tree incarnate themselves in nymphs and dryads. Your Böcklin painfully designs the figures once created by the painless mythopoiesis of the race; your Kipling strives to breathe back life into ships and engines. As philosophy is but common sense by a more circuitous route, so may Art be self-conscious savagery. And herein lies perhaps the true inwardness of the Psyche legend. The soul exchanges the joys of naïveté for the travails of self-consciousness, but in the end wins back its simple happiness, more stably founded. 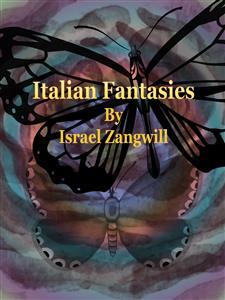 Yet, so read, the myth needs the supplement of an even earlier phase—it might well have occupied a spandrel at least in those delicious decorations for the ceiling of the Villa Farnesina that Raphael drew from the fable of Apuleius—in which Psyche, innocent of the corporeal Cupid, should dream of Amor. For me at least the ecstasy of vision has never equalled the enchantment of the visionary. O palm and citron, piously waved and rustled by my father at the Feast of Tabernacles, you brought to my grey garret the whisper and aroma of the sun-land. (Prate not of your Europes and Asias; these be no true geographic cuts; there is but a sun-life and an ice-life, and the grey life of the neutral zones.) But the solidities cannot vie with the airy fantasies. Where is the magic morning-freshness that lay upon the dream-city? Dawn cannot bring it, though it lay its consecrating gold upon the still lagoons of a sea-city, or upon the flower-stones of a Doge’s palace. Poets who have sung best of soils and women have not always known them: the pine has dreamed of the palm, and the palm of the pine. “Heard melodies are sweet, but those unheard . . .” Ah, those unheard! Were it not better done—as poets use—never to sport with Beatrice in the shade, nor with the tangles of loved Laura’s hair? Shall Don Quixote learn that Dulcinea del Toboso is but a good, likely country lass? I would not marry the sea with a ring, no, not for all the gold and purple of the Bucentaur. What should a Doge of dreams be doing in that galley? To wed the sea—and know its mystery but petulance, its unfathomed caves only the haunt of crude polypi; no mermaids, no wild witchery, and pearls but a disease of the oyster! Mayhap I had been wiser to keep my Italian castles in Spain than to render myself obnoxious to the penalties of the actual. Rapacity, beggary, superstition, hover over the loveliness of the land like the harpies and evil embodiments in Ambrogio Lorenzetti’s homely Allegory of Bad Government in the Sala della Pace of Siena. To-day that fourteenth-century cartoonist would have found many a new episode for his frescoed morality-play, whereof the ground-plot would run: how, to be a Great Power with martial pride of place, Italy sacrifices the substance. Incalculably rich in art, her every village church bursting with masterpieces beyond the means of millionaires, she hugs her treasures to her ragged bosom with one skinny hand, the other extended for alms. Adorable Brother Francis of Assisi, with thy preachment of “holy poverty,” didst thou never suspect there could be an unholy poverty? ’Tis parlous, this beatitude of beggary. More bandits bask at thy shrine than at almost any other spot in Christendom. Where the pilgrims are, there the paupers are gathered together; there must be rich prey in those frenzied devotees who crawl up thy chapel, licking its rough stones smooth. Thou hadst no need of food: if two small loaves were provided for thy forty days’ Lent in that island in the Lake of Perugia, one and a half remained uneaten; and even if half a loaf seemed better to thee than no bread, ’twas merely because the few mouthfuls chased far from thee the venom of a vainglorious copy of thy Master. Perchance ’tis from some such humility the beggars of Assisi abstain from a too emulous copy of thee. Thou didst convert thy brother, the fierce wolf of Agobio, and give the countryside peace, but what of this pack of wolves thou hast loosed—in sheep’s clothing! With what joy did I see in a church at Verona an old barefoot, naked-kneed beggar, who was crouching against a pillar, turn into marble! My princess fled almost with a shriek, and I came back to the sordid Italy of to-day. Of to-day? Is not yesterday’s glamour equally illusionary? But perhaps Genoa with her commercial genius is no typical daughter of Italia. Did not Dante and the Tuscan proverb alike denounce her? Does not to-day’s proverb say that it takes ten Jews to make one Genoese? And yet it was Genoa that produced Mazzini and sped Garibaldi. Would you wipe out this bookish memory by a better? Then picture the library of a monastery, that looks out on the cypressed hills, whose cloisters Sodoma and Signorelli frescoed with naïve legends of St. Benedict and Satan. See under the long low ceiling, propped on the cool white pillars, those niched rows of vellum bindings guarding the leisurely Latin lore of the Fathers. Behold me meditating the missals and pontificals, pageants in manuscript, broidered and illuminated, all glorious with gold initials and ultramarine and vermilion miniatures; or those folio processions of sacred music, each note pranked in its bravery and stepping statelily amid garlands of blue and gold and the hovering faces of angels; dreaming myself into that mystic peace of the Church, till the vesper bell calls to paternosters and genuflexions, and the great organ rolls out to drown this restless, anchorless century. Now am I for nones and primes, for vigils and sackcloth, for breviaries and holy obedience. In shady cloisters, mid faded frescoes, round sleepy rose-gardens, I will pace to papal measures, while the serene sun-dial registers the movement of the sun round the earth. Who speaks of a religion as though it were dependent upon its theology? Dogmas are but its outward show; inwardly and subtly it lives by its beauty, its atmosphere, its inracination in life, and its creed is but a poor attempt to put into words a thought too large for syllables, too elusive for phrases. Language is a net that catches the fish and lets the ocean stream through. Again that fallacy of the Name. Beautiful I will call that service I saw at Bologna on Whitsun Sunday, though you must dive deep to find the beauty. Not in S. Petronio itself will you find it, in those bulbous pillars swathed in crimson damask, though there is a touch of it in the vastness, the far altar, the remote choir and surpliced priests on high, the great wax candle under the big baldachino, the congregation lost in space. Nor will you easily recognise it in the universal disorder, in that sense of a church parade within the church, in the brouhaha that drowns the precentor’s voice, in the penny chairs planted or stacked as the worshippers ebb or flow, in the working men and their families sprawling over the altar-steps, in the old women coifed in coloured handkerchiefs, with baskets that hold bottles as well as prayer-books; not even in the pretty women in Parisian hats, or the olive-skinned girls in snoods, least of all in the child’s red balloon, soaring to the roof at the very moment of the elevation of the Host, and followed with heavenward eyes by half the congregation. And yet there is no blasphemy even in the balloon; the child’s innocent pleasure in its toy is mixed with its sense of holy festivity. There is no sharp contrast of sacred and secular. The church does not end with its portals; it extends into the great piazza. Nor do the crowds squatting on its steps in the sun, and seething in the square it dominates, feel themselves outside the service. The very pigeons seem to flutter with a sense of sacred holiday, as though they had just listened to the sermon of their big brother, St. Francis. The Church, like the radiant blue sky, is over all. And this is the genius of Catholicism. Not without significance are those thirteenth-century legends in which even the birds and the fishes were brought into the fold universal, as into a spiritual Noah’s Ark, all equally in need of salvation. Some of the Apostles themselves were mere fishers, spreading no metaphoric net. What an evolution to St. Antony, who wins the finny tribes to reverence and dismisses them with the divine blessing! Even the horses are blessed in Rome on St. Antony’s Day, or in his name at Siena before the great race for the Palio, each runner sprinkled in the church of its ward. To think that missionaries go forth to preach verbal propositions violently torn from the life and the historic enchainment and the art and the atmosphere! If they would but stay at home and reform the words, which must ever change, so as to preserve the beauty, which must never die! For words must change, if only to counterbalance their own mutations and colourings, their declines and falls. They are no secure envelope for immortal truths: I would as lief embody my fortunes in a paper currency. Let the religion of the future be writ only in music—Palestrina’s or Allegri’s, Bach’s or Wagner’s, as you will—so that no heresies can spring from verbal juggles, distorted texts, or legal quibbles. And yet—would the harmony be unbroken? What quarrels over misprinted sharps and naturals! How the doctors of music would disagree on the tempo and the phrasing and burn and excommunicate for a dotted semibreve! What Church Councils—the pianissimo party versus the fortissimo, legato legions and staccato squadrons, the Holy Wars of Harmony—all Christian history da capo! I like that gracious tolerance of humanism you find in some Renaissance pictures, those composite portraits of ideas, in which Pagan and Christian types and periods mingle in the higher synthesis of conception—or perhaps even in a happy inconsistence of dual belief. Raphael could not represent the conflagration in the Borgo that was extinguished by papal miracle without consecrating a corner of his work to the piety of Æneas, carrying Anchises on his back in a parallel moment of peril. Raphael’s work is, in fact, almost a series of illustrations of the Sposalizio of Hebraism and Hellenism. That library of Julius II in the Vatican may stand as the scene of their union. Beyond the true Catholicism of its immortal frescoes humanism cannot go. If the Theology is mainly confined to Biblical concepts and figures, it is supplemented by Perino del Vaga’s picture of the Cumæan Sybil showing the Madonna to Augustus, which is at least a dovetailing of the divided worlds and eras. And if to explain the parity of Sybils with prophets in the designs of Michelangelo you call in those Fathers of the Church who found Christology in the old Sybilline leaves and have coupled David and the Sybil in the Catholic funeral service, you must admit a less dubious largeness in Raphael’s cartoons for the dome mosaics in the Cappella Chigi of Santa Maria del Popolo; for to group the gods of Hellas round the Creator and His angels, even by an astronomic device involving their names for the planets, shows a mood very far removed from that of the Christians who went to the lions in this very Rome. (The consistent Christian mood is seen in the Quaker’s avoidance of the heathen names of our days and months, mere bald numeration replacing the Norse and Roman divinities.) Moreover, Raphael’s Parnassus is almost wholly to the glory of ancient Greece and Rome. It is Dante and Petrarch who are honoured by neighbouring Homer and Virgil. It is the violin that is glorified by Apollo’s playing upon it. Anachronism if you will. But Art may choose to see history sub specie æternitatis, and surely in Plato’s heaven rests the archetypal violin, to which your Stradivarius or Guarnerius is a banjo. But what is this new voice—comes it from the mole-hills?—“Our will be done.” See—in the mask of the highest Christianity and science—the old thaumaturgy creeping in, though now every man is his own saint, healing his own diseases, denying death with a Podsnappian wave o’ the hand. O my friends, get ye to the Eternal City—that canvas for the flying panorama of races and creeds—and peep into a coffin in the Capitoline Museum, and see the skeleton of the Etruscan girl, with rings glittering on her bony fingers, and bracelets on her fleshless wrists, and her doll at her side, in ironic preservation, its blooming cheeks and sparkling eyes mocking the eyeless occiput of its mistress. Even so shall your hugged treatises and your glittering gospels show among your bones. Do you not know that death is the very condition of life—bound up with it as darkness with light? How trivial the thought that sees death but in the cemetery! ’Tis not only the grave that parts us from our comrades and lovers; we lose them on the way. Lose them not only by quarrel and estrangement, but by evolution and retrogression. They broaden or narrow away from us, and we from them; they are changed, other, transformed, dead and risen again. Woe for the orphans of living parents, the widowers of undeceased wives! Our early Ego dies by inches, till, like the perpetually darned sock, it retains nothing but the original mould and shaping. Let us read the verse more profoundly: “In the midst of life we are in death.” Whoever dies in the full tilt of his ambitions is buried alive, and whoever survives his hopes and fears is dead, unburied. Death for us is all we have missed, all the periods and planets we have not lived in, all the countries we have not visited, all the books we have not read, all the emotions and experiences we have not had, all the prayers we have not prayed, all the battles we have not fought. Every restriction, every negation, is a piece of death. Not wholly has popular idiom ignored this truth. “Dead to higher things,” it says; but we may be dead too to the higher mathematics. Death for the individual is the whole universe outside his consciousness, and life but the tiny blinking light of consciousness. But between the light and the dark is perpetual interplay, and we turn dark to light and let light subside to dark as our thoughts and feelings veer this way or that. And since ’tis complexity of consciousness that counts, and the death of the amœba or the unborn babe is less a decomposition than the death of a man, so is the death of a philosopher vaster than the death of a peasant. We have but one word for the drying up of an ocean and the drying up of a pool. And the sediment, the clay that we bury, wherefore do we still label it with the living name? As if Cæsar might truly stop a bung-hole! Mark Antony might come to praise Cæsar; he could not bury him. Here lies Mazzini forsooth! As if that spirit of white fire could rest even on the farthest verge of thee, O abominable Campo Santo of Genoa, with thy central rotunda pillared with black marble, thy spires and Grecian buildings, thy Oriental magnificence, redeemed only by the natural hills in which thou nestlest. Are our ashes indeed so grandiose and spectacular a thing? Or art thou a new terror added to death? From thy haughty terrace—whereon Death himself in black marble fights with a desperate woman—I have gazed down upon thy four parallelograms, bounded by cypresses and starred with great daisies, that seen nearer are white crosses, and a simple Contadina lighting the lamp for her beloved dead alone softens the scene. O the endless statuary of the gallery, the arcades of slabs and reliefs, the faded wreaths, or those drearier beads that never fade!—I could pray to the Madonna whose blue and gold halo shines over thy dead to send a baby earthquake to swallow thee up. Away with these cemeteries of stone, this frigid pomp of death, that clings on to life even while spouting texts of resignation! Who cares for these parish chronicles, these parallelograms of good people that lived and fell on sleep, these worthy citizens and fond spouses. Horrid is that clasp of intertwined hands. I could chop at those fingers with an axe. ’Tis indecent, this graveyard flirtation. Respect your privacy, good skeletons! Ye too, couples of the Etruscan catacombs, who dash our spirits from your urns, to what end your graven images outside your incinerated relics? Not in marmoreal mausolea, nor in railed-off tombs, with knights and dames couchant, not in Medici chapels nor in the florid monuments of Venetian Doges, not in the columbaria of the Via Appia nor in the Gothic street-tombs of the Scaliger princes, resides death’s true dignity—they are the vain apery of life—but in some stoneless, flowerless grave where only the humped earth tells that here lies the husk of one gathered into the vastness of oblivion. There are times when one grows impatient for death. There is a sweetness in being gathered to one’s fathers. The very phrase is restful. Dying sounds more active; it recalls doing, and one is so tired of doing. But to be culled softly, to be sucked up—the very vapour of the Apostle—how balmily passive: to be wafted into the quiet Past, which robs even fame of its sting, and wherein lie marshalled and sorted and ticketed and dated, in stately dictionaries and monumental encyclopædias, all those noisy poets, painters, warriors, all neatly classified and silent. And the sweet silence of the grave allures even after the bitter silence of life; after the silent endurance that is our one reply to the insolence of facts. And in these delicate, seductive moments, half longing, half acquiescence, the air is tremulous with tender, crooning phrases, with gentle, wistful melodies, the hush-a-bye of the earth-mother drawing us softly to her breast. But an you will not acquiesce in simple earth-to-earth, I commend you to the Greek sarcophagi you may see in the Naples Museum. There you will find no smirking sentiment, no skull and cross-bones—ensign of Pirate Death—but the very joy of life, ay, even a Bacchanalian gladness. I recall a radiant procession, Cupids riding centaurs and lions and playing on lyres, mortals driving chariots and blowing trumpets, or dancing along, arms round one another’s necks. Bury me in an old Greek sarcophagus, or let me fade into the anonymous grass. Of all the excursions I made from Naples—renowned headquarters for excursions—none led me through more elemental highways than that which started from the Aquarium, at a fee of two lire. Doubtless the Aquarium of Naples exists for men of science, but men of art may well imagine it has been designed as a noble poem in colour. Such chromatic splendours, such wondrous greens and browns and reds, subtly not the colour scale of earth, for over all a mystic translucence, a cool suffusion, every hue suffering “a sea change into something rich and strange”! And the form of all these sea-creatures and sea-flowers so graceful, so grotesque, so manifold! “Nature’s plastic hand,” as Dante hath it, works deftly in water. It leaps to the eye that Art has invented scarcely anything, that the art of design in particular is a vast plagiarism. Here be your carpets and your wall-patterns, your frosted glass and your pottery. What Persian rug excels yon lamprey’s skin? My mind goes back to a great craftsman’s studio, stacked with brilliant beetles and dragon-flies—Nature’s feats of bravura—to eke out his inventions. Even the dressmaker, I remember, is the greatest client of the butterfly-net in her quest for delicious colour-blendings. Yet with how few root-ideas Nature has worked; the infinitude of her combinations is purely an affair of arrangement, complicated with secondary qualities of size and colour. Conscious life even at its most complex is a function of four variables: a food apparatus, a breathing apparatus, a circulating apparatus, and a nerve apparatus. With what inimitable ingenuity Nature has rung the changes on these four factors! Her problem has affinities with the task of the inventors of typewriters, who, having to produce the same collision of inked type with blank paper, have found so many ways of achieving it that their machines resemble highly organised creatures of curious conformation, one having no resemblance to another. Some are annular and some are cubical, some have wheels of letters, some have letters that fly singly. ’Tis scarcely credible that they all do the same work. Are not animals machines? Said Descartes. But I ask, Are not machines animals? A vision surges up of Venice at night—out of the darkness of the Grand Canal comes throbbing a creature of the Naples Aquarium—all scattered blobs of flame, cohering through a spidery framework. Through the still, dark water it glides, under the still, starry sky, with San Giorgio for solemn background, and only from the voices of Venetians singing as they float past—an impassioned, sad memory, a trilled and fluted song—could one divine behind the fiery sea-dragon the mere steam-launch. Between the laws that fashioned steamboats and those that fashioned the animate world there is no essential difference. The steamboat is not even inanimate, for at the back of it burrows man like a nautilus in its shell, and his living will has had to fight with the same shaping forces as those which mould the entities of the water. The saurian age of the steamboat was the uncouth hollowed trunk, and by slow, patient evolutions and infinite tackings to meet winds and tides, it has come to this graceful, gliding creature that skims in the teeth of the tempest. Denied the mastery of water, man adds a floating form to his own; forbidden the sky, he projects from himself a monstrous aery sac or winged engine; condemned to crawl the earth, he supplements his nerves with an electric motor apparatus. Thus endlessly transformed, Man the Prometheus is also Man the Proteus. Dante praised Nature for having ceased to frame monsters, save the whale and the elephant; he did not remark that Man had continued her work on a substratum of himself. The forms of the typewriters are even more clearly conditioned by the struggle for life. The early patents are the creatures in possession, and to develop a new type without infringing on their pastures, and risking their claws, a machine is driven into ever-odder contrivances, like creatures that can only exist in an over-crowded milieu by wriggling into some curious shape and filling some forgotten niche. The lust of life that runs through Nature transforms the very dust to a creeping palpitation, fills every leaf and drop of water with pullulating populations. ’Tis an eternal exuberance, a riotous extravagance, an ecstasy of creation. Great is Diana of the Ephesians, for this Diana, as you may see her figured in the Naples Museum, black but comely, is a goddess of many breasts, a teeming mother of generations, the swart, sun-kissed Natura Nutrix, who ranges recklessly from man to the guinea-pig, from the earwig to the giraffe, from the ostrich to the tortoise, from the butterfly to the lizard, from the glued barnacle timidly extending its tentacles when the tide washes food towards its rock, to the ravenous shark darting fiercely through the waters and seizing even man in its iron jaws. Yet they are at best mere variations on the primal theme of heart, brain, lungs, and stomach, now with enchanting grace as in the gazelle, now with barbaric splendour as in the peacock, now with a touch of grotesque genius as in the porcupine. And directly or indirectly all of them pass into one another—in the most literal of senses—as they range the mutual larder of the globe. ’Tis well to remember sometimes that this globe is not obviously constructed for man, since only one-fourth of it is even land, and that in a census of the planet, which nobody has ever thought of taking, man’s poor thousand millions would be out-numbered by the mere ant-hills. And since the preponderating interests numerically of this sphere of ours are piscine, and in a truly democratic world a Fish President would reign, elected by the vast majority of voters, and we should all be bowing down to Dagon, the Aquarium acquires an added dignity, and I gaze with fresh eyes at the lustrous emerald tanks. Ah, here is indeed a Fish President, the shell-fish that presided over the world’s destinies; the little murex that was the source of the greatness of Tyre, and the weaver of its purpureal robes of empire. Hence the Phœnician commerce, Carthage, the Punic Wars, and the alphabet in which I write. Not only is colour softened by a sea change, but in this cool, glooming, and glittering world the earth-creatures seem to have been sucked down and transformed into water-creatures. There are flowers and twigs and green waving grass that seem earth-flowers and twigs and grass transposed into the key of water. Only, these flowers and grasses are animal, these coralline twigs are conscious; as if water, emulous of the creations of earth and air, strove after their loveliness of curve and line, or as if the mermaidens coveted them for their gardens. And there are gemmed fishes, as though the mines of Ind had their counterpart in the forces producing these living jewels. And there are bird-like fishes with feathery forms, that one might expect to sing as they cleave the firmament of water: some song less troubling than the Lorelei’s, with liquid gurgles and notes of bubbling joy. And the sea, not content to be imitative, has added—over and above its invention of the fish—to the great palpitation of life; priestly forms, robed and cowled, silver-dusty pillars, half-shut parasols. Even the common crab is an original; a homely grotesque with no terraceous or aerial analogue, particularly as it floats in a happy colour-harmony with a brown or red sponge on its back, a parasite literally sponging upon it. But though you may look in vain for mermaid or Lorelei, naiad or nymph, there is no reason in Nature why all that poets feigned should not come into being. The water-babe might have been as easily evolved as the earth-man, the hegemony of creation might have been won by an aquatic creature with an accidental spurt of grey matter, and the history of civilisation might have been writ in water. The merman is a mere amphibian, not arrived. The gryphon and the centaur are hybrids unborn. ’Tis just a fluke that these particular patterns of the kaleidoscope have not been thrown. We may safely await evolutions. The winged genius of the Romans, frequent enough on Pompeian frescoes, may even be developed on this side of the skies, and we may fly with sprouted wings and not merely with detachable. Puck and Ariel perchance already frisk in some Patagonian forest, Caliban may be basking in forgotten mud. Therefore, poets, trust yourself to life and the fulness thereof. Whether you follow Nature’s combinations or precede them, you may create fearlessly. From the imitatio Naturæ you cannot escape, whether you steal her combinations or her elements. Shelley sings of “Death and his brother Sleep,” but gazing at this mystic marine underworld of the Naples Aquarium, I would sing of Life and his brother Sleep. For here are shown the strange beginnings of things, half sleep, half waking: organisms rooted at one point like flowers, yet groping out with tendrils towards life and consciousness—the not missing link between animal and vegetable life. What feeling comes to trouble this mystic doze, stir this comatose consciousness? The jelly-fish that seems a mere embodied pulse—a single note replacing the quadruple chord of life—is yet a complex organism compared with some that flit and flitter half invisibly in this green universe of theirs: threads, insubstantialities, smoke spirals, shadowy filaments on the threshold of existence, ghostly fibres, flashing films, visible only by the beating of their white corpuscles. ’Tis reading the Book of Genesis, verse by verse. And then suddenly a hitherto unseen entity, the octopus, looses its sinuous suckers from the rock to which its hue protectively assimilates—a Darwinian observation Lucian anticipated in his “Dialogue of Proteus”—and unfolding itself in all its manifold horror, steals upon its prey with swift, melodramatic strides. From the phantasmal polyzoa to these creatures of violent volition how great the jump! Natura non facit saltum, forsooth! She is a veritable kangaroo. From the unconscious to the conscious, from the conscious to the self-conscious, from the self-conscious to the over-conscious, there’s a jump at every stage, as between ice and water, water and steam. Continuous as are her phases, a mysteriously new set of conditions emerges with every crossed Rubicon. Dante, in making the human embryo pass through the earlier genetic stages (“Purgatory,” Canto XXV), seems curiously in harmony with modern thought, though he was but reproducing Averroes. But mankind has never forgotten its long siesta as a vegetable. Still linked with the world of sleep through the mechanic processes of nutrition, respiration, circulation, consciously alive only in his higher centres, man tends ever to drowse back to the primal somnolence. Moving along the lines of least resistance and largest comfort, he steeps himself in the poppies of custom, drinks the mandragora of ready-made morals, and sips the drowsy syrups of domesticity, till he has nigh lapsed back to the automaton. But ever and anon through the sluggish doze stirs the elemental dream, leaps the primeval fire, and man is awake and astir and athrill for crusades, wars, martyrdoms, revolutions, reformations, and back in his true biological genus. Not only in man appears this contest of life and sleep: it runs through the cosmos. There is a drag-back: the ebb of the flowing tide. How soon the forsaken town returns to forest! Near the Roman Ghetto you may note how the brickwork of the wall of the ancient Theatre of Marcellus has relapsed to rock; man’s touch swallowed up in the mouldering ruggedness, the houses at the base merely burrowed, the abodes of cave-dwellers. I saw the sea-serpent at Naples, though not in the Aquarium. Its colossal bulk was humped sinuously along the bay. ’Twas the Vesuvius range, stretching mistily. Mariners have perchance constructed the monster from such hazy glimpses of distant reefs. Still, no dragon has wrought more havoc than this mountain, which smokes imperturbably while the generations rise and fall. Beautiful the smoke, too, when it grows golden in the setting sun, and the monstrous mass turns a marvellous purple. We wonder men should still build on Vesuvius—betwixt the devil and the deep sea—yet the chances of eruption are no greater than the chances of epidemic in less salubrious places, as the plague-churches of Italy testify. But should a new eruption overwhelm Pompeii, and its first record be lost, there were a strange puzzle for the antiquarians of the fiftieth century exhuming its cosmopolitan population; blonde German savages in white pot-hats, ancient Britons in tweeds, extinct American cycle-centaurs; incongruously resident amid the narrow streets and wide public buildings of a prehistoric Roman civilisation. Pompeii is buried some twenty feet deep. The Middle Ages walked over these entombed streets and temples and suspected nothing. But all towns are built on their dead past, for earth’s crust renews itself as incessantly as our own skin. We walk over our ancestors. There are twenty-seven layers of human life at Rome. It needs no earth-convulsions, no miracles of lava. One generation of cities succeeds another. Nature, a pious Andromache, covers up their remains as softly as the snow falls or the grass grows. When man uncovers them again, he finds stratum below stratum, city below city, as though the whole were some quaint American structure of many storeys which the earth had swallowed at a single gulp, and not with her stately deglutition. At Gezer in Palestine Macalister has been dissecting a tumulus which holds layers of human history as the rocks hold layers of earth-history. Scratch the mound and you find the traces of an Arab city, slice deeper and ’tis a Crusaders’ city; an undercut brings you to the Roman city whence—by another short cut—you descend to the Old Testament; to the city that was dowered to Solomon’s Egyptian Queen, to the Philistine city, and so to the Canaanite city. But even here Gezer is but at its prime. You have sunk through all the Christian era, through all the Jewish era, but fifteen centuries still await your descent. Down you delve—through the city captured by Thotmes III, through the city of the early Semites, till at last your pick strikes the Hivites and the Amorites, the cave-men of the primitive Gezer. Infinitely solemn such a tumulus in its imperturbable chronicling, with its scarabs and altars, its spear-heads and its gods, the bones of its foundation-sacrifices yet undecayed. The Judgment Books need no celestial clerks, no recording angels; earth keeps them as she rolls. In our eyes, too, as we gaze upon this ant-heap of our breed, a thousand years are but as a day—nay, as a dream that passeth in the night. We are such stuff as dreams are made on, and our little life is rounded with a mound. Beside Gezer, Pompeii and Herculaneum are theatrical, flamboyant, the creatures of a day, the parvenus of the underworld. Mentally, too, strange ancestral strata lie in our deeps, even as the remains of an alimentary canal run through our spine and a primitive eye lies in the middle of our brain—that pineal gland in which Descartes located the soul. Sometimes we stumble over an old prejudice or a primitive emotion, prick ourselves with an arrow of ancestral conscience, and tremble with an ancient fear. Mayhap in slumber we descend to these regions, exploring below our consciousness and delving in the catacombs of antiquity. The destruction of Pompeii was effected, however, not by Vesuvius, but by the antiquarian. He it was to whom Pompeii fell as a spoil, he who turned Pompeii from a piece of life to a piece of learning, by transporting most of its treasures to a museum. The word is surely short for mausoleum. For objects in a museum are dead, their relations with life ended. Objects partake of the lives of their possessors, and when cut off are as dead as finger-nails. A vase dominating the court of a Pompeian house and a vase in the Naples Museum are as a creature to its skeleton. What a stimulation in the one or two houses left with their living reality—their frescoes and their furniture, their kitchens and middens! ’Tis statues that suffer most from their arrangement in ghostly rows. A statue is an æsthetic climax, the crown of a summit, the close of a vista. See that sunlit statue of Meleager in the grounds of the Villa Medici, at the end of a green avenue, with pillar and architrave for background, and red and white roses climbing around it, and imagine how its glory would be shorn in a gallery. The French have remembered to put the Venus of Milo at the end of a long Louvre corridor, which she fills with her far-seen radiance. These collections of Capolavori—these Apollos and Jupiters, and Venuses and Muses, dumped as close as cemetery monuments—are indeed petrified. The fancy must resurrect them into their living relations with halls and courtyards, temples and piazzas, shrines and loggias. The learned begin to suspect that the polytheism of Greece and Rome is due to the analogous aggregation of local gods, each a self-sufficing and all-powerful divinity in its own district. When there were so many deities, their functions had to be differentiated, as we give a different shade of meaning to two words for the same thing. Were one to collect the many Madonnas in Italy, one might imagine Christianity as polytheistic as Paganism. But the most perfect visualising of a god’s statue in its local setting will not annul that half-death which sets in with the statue’s loss of worship. These fair visions of Pallas and Juno, shall they ever touch us as they touched the pious Pagan? Nay, not all our sense of lovely line and spiritual grace can replace that departed touch of divinity. The past has indeed its glamour for us, which serves perhaps as compensation for what we lose of the hot reality, but an inevitable impiety clings to our inquisitive regard, to our anxious exhumation of its secrets. Unless we go to it with our emotions as well as our intellect, prepared to extract its spiritual significance and to warm ourselves at the fire of its life and pour a libation to the gods of its hearth, a wilderness of archæological lore will profit us little. A man is other than his garments and a people than its outworn shell. There is perhaps more method than appears at first sight in the madness of the Turk, who reluctantly permits the scientific explorer to dig up the past but insists that once he has unearthed his historic treasure, his buried streets and temples, ay, of old Jerusalem itself, he shall cover them up again. The dead past is to bury its dead. Death, whether in citizens or their cities, is sacred. Cursed be he who turns up their bones to the sun. And who will not sigh over the mummies, doomed to be served up in museums after five thousand years of dignified death? Princesses and potentates were they in their lives; how could they dream, as they were borne in their purpureal litters through the streets of the Pharaohs, that they would make a spectacle for barbarians on wet half-holidays? And thou, Timhotpu, prefect of the very Necropolis of Thebes in the eighteenth dynasty, how couldst thou suspect that even thy gilded sarcophagus would be violated, thy golden earrings wrenched off, thy mortuary furniture stolen, and thy fine figure exhibited to me in the Turin Museum, turned into a grey char under thy winding-sheet! The very eggs placed in the tombs of thy cemetery have kept their colour better: one feels that under heat they might still hatch a hieroglyphic chicken. But thou art for evermore desiccated and done with. Saddest of all is the fate of the immortals: goddesses of the hearth and gods of the heaven are alike swept into the museum-limbo. They are shrunk to mythology, they who once charioted the constellations. For mythology dogs all theologies, and one god after another is put on the bookshelf. All roads lead to the museum. Thither go our old clothes, our old coins, our old creeds, and we wonder that men should ever have worn steel armour or cast-iron dogmas. Gazing at the Pompeian man, that “cunning cast in clay,” whose clutch at his money-bags survives his bodily investiture, who does not feel as one from another planet surveying an earth pygmy? What strange limited thoughts were thine, O Pompeian of the first century! I warrant thou hadst not even heard of the Man of Nazareth: how small thine atlas of the world, not to say thy chart of the heavens! Poor ignoramus—so unacquainted with all that hath happened since thy death! How wise and weighty thou wast at thy table, recumbent amidst thy roses, surrounded by those gay frescoes of Cupids and Venuses; with what self-satisfaction thou didst lay down the Roman law, garlanded as to thy narrow forehead! But if ’tis easy to play the Superman with this fusty provincial, ’tis not hard to smell the museum must in our own living world. Too many people and things do not know they are essentially of the museum: have the arrogance to imagine they are contemporary. How full of life seems the cannon as it belches death! Yet ’tis but an uncouth, noisy creature, long since outgrown and outmoded among the humanised citizens of the planet; some day it will be hunted out like the wolf and the boar, with a price upon its mouth. ’Tis to the stage that extinct human types betake themselves by way of after-life—the theatre serving as the anthropological museum—but there are some that linger unconscionably on this side of the footlights. Bigots, for example, have an air of antediluvian bipeds, monstrous wildfowl that flap and shriek. I even gaze curiously at Gold Sticks and pages of the Presence. They are become spectacular, and to be spectacular is to be well on the way to the museum. Mistrust the spasmodic splendour—leap of the dying flame. Where traditions must be pored over, and performers rehearsed, it has become a play; is propped on precedent instead of uplifted by sap. The passion for ritual is one of the master-passions of humanity. Yet stage properties can never return to the world of reality. The profession will tell you that they are sold off to inferior theatres, never to the real world outside. What passes into the museum can never repass the janitor. On the leaders of life lies in each generation the duty of establishing the museum-point. The museum-point in thought, art, morals. No matter that obsolete modes prevail in the vulgar world: do the ladies allow the mob to dictate their fashions? Hath a bonnet existence because it survives in Seven Dials or the Bowery? Is a creed alive because it flourishes in Little Bethel? Man is one vast being, and the thought of his higher nerve-centres alone counts: generation hands the torch to generation. Doubtless the lower ganglia are not always ready for the new conception. But such considerations belong to Politics, not to Truth. At the worst the map must be made while the march is preparing.